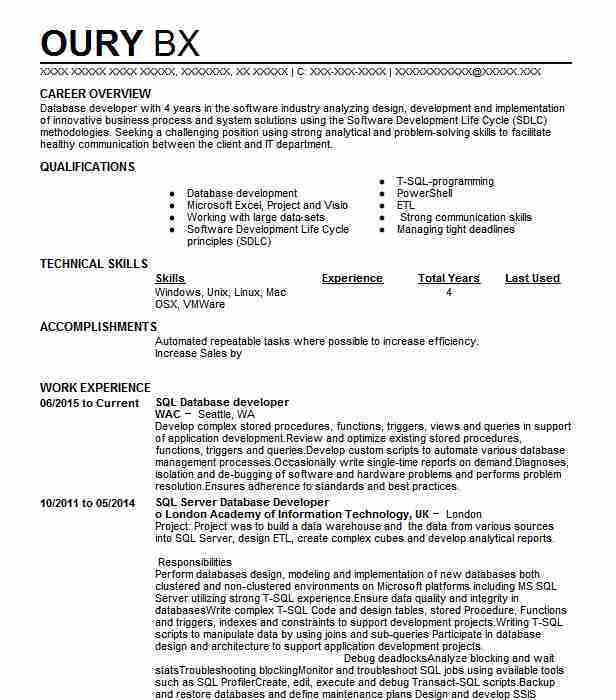 Highly adaptable and experienced SQL Database Developer with a proven track record of high client satisfaction. Adept at adapting work pace to evolving client deadlines. Author of several articles in refereed professional publications. Designed and implemented stored procedures views and other application database code objects. Maintained SQL scripts indexes and complex queries for analysis and extraction. Performed quality testing and assurance for SQL servers. Worked with stakeholders developers and production teams across units to identify business needs and solution options. Ensured best practice application to maintain security and integrity of data. Provided support for all operations focusing on integration of new products and services. Liaised with management and development to improve overall access to information. Recommended resolutions ensuring optimal performance. Assisted in development and execution of data service disaster recovery plans. 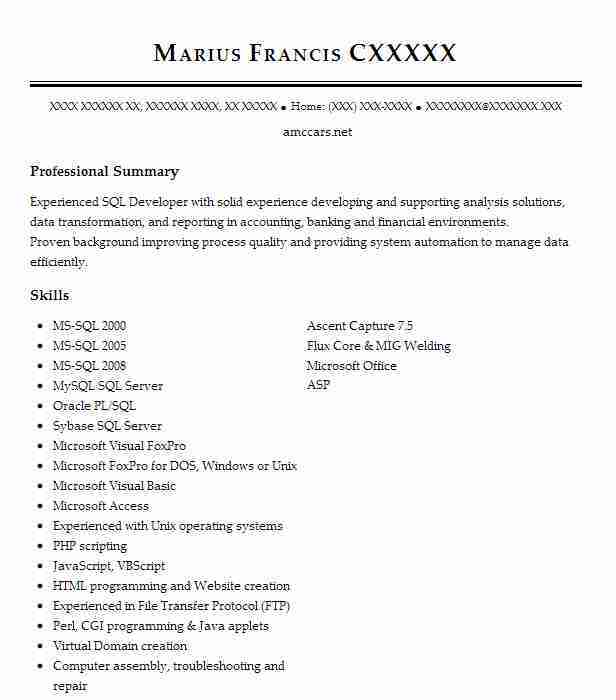 There are plenty of opportunities to land a Sql Database Developer job position, but it won’t just be handed to you. 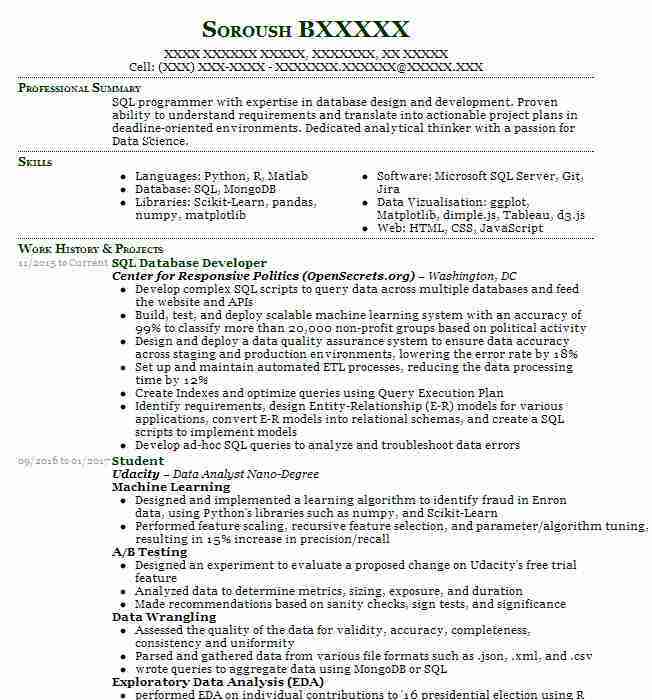 Crafting a Sql Database Developer resume that catches the attention of hiring managers is paramount to getting the job, and LiveCareer is here to help you stand out from the competition.